Largest healthcare clowning organization in the United States will launch flagship Red Nose Docs program at Loma Linda University Children’s Hospital. New York, NY, February 26, 2019 — Healthy Humor (HH), the nonprofit arts organization whose professional performers create moments of joy, wonder, laughter and comfort for hospitalized children and all others who are most in need, is once again partnering with Moose Toys, the Australian-based toy company, to expand its Red Nose Docs program, this time to Loma Linda University Children's Hospital in Southern California. Loma Linda was the first hospital to perform a successful neonatal heart transplant, a procedure that has now been performed more than 2,000 times around the world. It was also the first hospital — and remains one the few in the world – to offer proton radiation treatment on site to its oncology patients. The program will operate two days a week at Loma Linda starting this spring, joining 14 other pediatric hospitals already in the HH family. Moose Toys, a global toy-manufacturing company with products sold in more than 100 countries around the world, is committed to making healthcare clowning a pillar of its investment in the communities in which it operates. Through its exclusive North American partnership with HH, Moose supports the Red Nose Docs program at Children’s Hospital of Philadelphia (CHOP) and has now added Loma Linda Children’s to its roster of philanthropic efforts in this country. 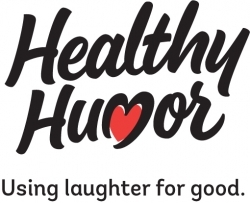 Healthy Humor, a 501(c)(3) non-profit organization, was founded in July 2016 by three alumni of the Big Apple Circus Clown Care program with more than 60 combined years in healthcare clowning: Dina Paul-Parks (CEO), Karen McCarty (Artistic Director) and Deborah Kaufmann (Director of Training and Education). The goal was to build on the 30-year legacy of Clown Care, the program created by Michael Christensen, co-founder of the Big Apple Circus and creator of healthcare clowning. Healthy Humor’s flagship program, Red Nose Docs, offers the magic of healthcare clowns to help alleviate the stress of a hospital stay for young patients and their circle of caregivers. Using an array of circus and theater skills, professional, specially-trained performers work in teams of two to create spontaneous, joyful encounters, reintroducing play and fun as natural parts of life. HH employs approximately 70 performers serving more than 250,000 families every year in 14 other pediatric facilities across the country. For more information and the full list of our partner hospitals, please visit www.healthyhumorinc.org. Loma Linda University Children’s Health is committed to keeping children healing, healthy and happy, no matter where they are in their healthcare journey. With the 343-bed Loma Linda University Children’s Hospital and multiple clinics throughout the four-county Inland Empire – the largest geographic region in California – Children’s Health provides all aspects of care to nearly 100,000 patients every year. The hospital is home to an 84-bed neonatal Intensive Care Unit, one the largest in the country, providing delicate, specialized care to the tiniest of patients. Named a Top Children’s Hospital in 2017 and 2018 by the Leapfrog Group, Loma Linda University Children’s Health is here to make sure the spirits of the children we care for are joyful and their hearts are restored with innocence. From well-check visits to hospital stays, our commitment to children’s health and happiness will always remain our priority. For more information, please visit https://lluch.org/.